It may seem like a big digression to blog about an on-line enyclopedia, but as far as I'm concerned Wikipedia is a wiki, and like blogs and podcasting, a relatively new, emerging and arguably exciting form of web communication technology. It would seem that the furore started with an article in USA Today about ten days ago. Here, John Seigenthaler, a former assistant to Attorney General Robert Kennedy in the early 1960's, accused Wikipedia (and the anonymous contributor) of writing a false, malicious biography about him. This is not the first time in recent weeks that Wikipedia has been mentioned in the popular press - i.e. 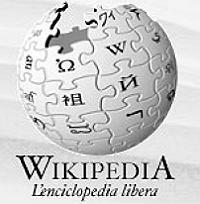 see previous post on whether we should trust Wikipedia; however, due to the above incident alone, it seems that Wikipedia has banned anonymous contributors to prevent libel - (Bobbie Johnson, The Guardian). In the actual article, two views are explored: the first is that Wikipedia (probably like all new forms of media such as blogging) should taken with a "pinch of salt" or been seen as "work in progress." The second approach seems to imply that "the wisdom of the many is more accurate than the wisdom of the few". Again, likening the issue to blogs more than anything else, i.e we should consider the aggregate output and not worry too much about specific and often isolated examples. After all, this is often the view taken by large corporations who misdemeanour from time to time. Acting as further comment on the Wikipedia incident, one of The Guardian's leaders is dedicated to the very issue. In In praise of ... the Wikipedia it is suggested that Wikipedia is a recipe for disaster. However, in reality, for the most part, it works remarkably well and reflects remarkable goodwill on behalf of the contributors in a world supposedly full of cynics. The leader goes onto argue that Wikipedia is in effect an experiment that on the whole works. The clincher for me, however, is to suggest that information should not be seen as sacrosanct. In other words, whilst some information is clearly wrong and needs to be corrected, the rest should be open to contention. New forms of web communication technology are arguably at the fore front of this contention. Update: false and malicous biography allegedly written by a "joker". The trustworthiness of Wikipedia is a great point of contention in my classroom. My students see it as a great source of Truth, but they had no answer for me when I asked what they would do if Wikipedia and I did not agree on a particular topic. Whom do you trust? Your teacher? The collective wisdom? In a science classroom of all places, it is quite clear that the collective wisdom is at times horribly wrong. Eventually, the students became convinced that Wikipedia is not a good source of information, because there is no telling who authored a piece. But then, I point out, it is actually the scientific ideal - the sharing of information and ideas, where truth has no option but to prevail. Thanks for the thoughtful comments, Wulf. There are lots of issues at work here, but I suppose one I overlooked is the fact that in certain situations there needs to be a consensus on what is good information, even if the information is based on weak foundations, i.e. schools are about learning how to learn and not just fact factories.